On this multi-day tour from Boston, you'll tour the nation's capital, the Big Apple, Baltimore, and Philadelphia. During this trip, you'll visit the world-renowned attractions in Washington DC and New York City as well as the Liberty Bell and Independence Hall in Philadelphia. You'll also have the chance to take cruises in both Washington DC and New York City to enjoy the magnificent views from the rivers. After breakfast, we will visit Jefferson Memorial and National Air and Space Museum, and take cruise on the Potomac River, where we will be able to view the Pentagon and the other memorials from a relaxing vantage point on the water. The tour will continue on Baltimore, stopping at the scenic Inner Harbor for a break to take photos, and then to Philadelphia, where we will visit the Independence Hall and the iconic Liberty Bell. After dinner, we will head north to hotel in New Jersey. Potomac River Cruise: Additional option/cost for those who want to see the United States' capital in an exciting and innovative way can join a Potomac Cruise for a relaxing and enjoyable sightseeing experience. After breakfast, we will spend the day touring New York City. 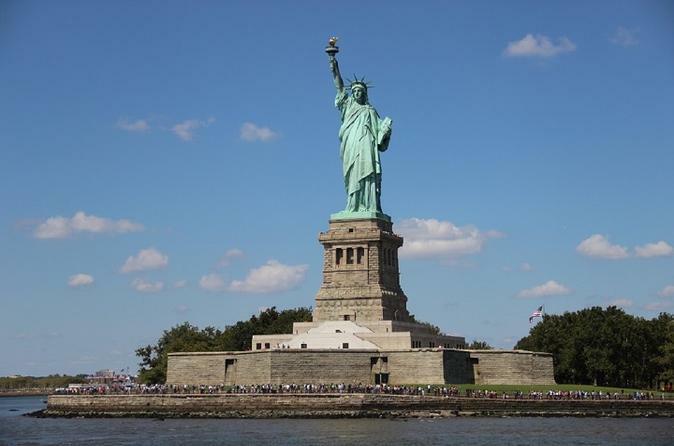 Stops include the Statue of Liberty Cruise, the Empire State Building, the USS Intrepid Sea-Air-Space Museum, and Madame Tussauds' Wax Museum. We also will stop briefly at Rockefeller Center for photo. We'll arrive in Boston at around 9:00pm.